Good stuff. 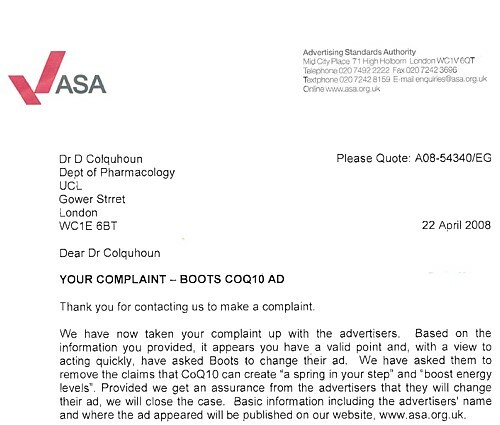 I read something this week on the Quackometer blog about an ASA judgement on a supplements firm in the Channel Islands. It seems they’re all at it. I had a similar experience with ASA over Neal’s Yard Remedies. I sent in their brochure and ASA said that it would not go to adjudication because the breaches of the code were so obvious. Further action would be taken but ASA refused to say what that would be, and there was no adjudication published. I remain baffled as to what if anything was done.